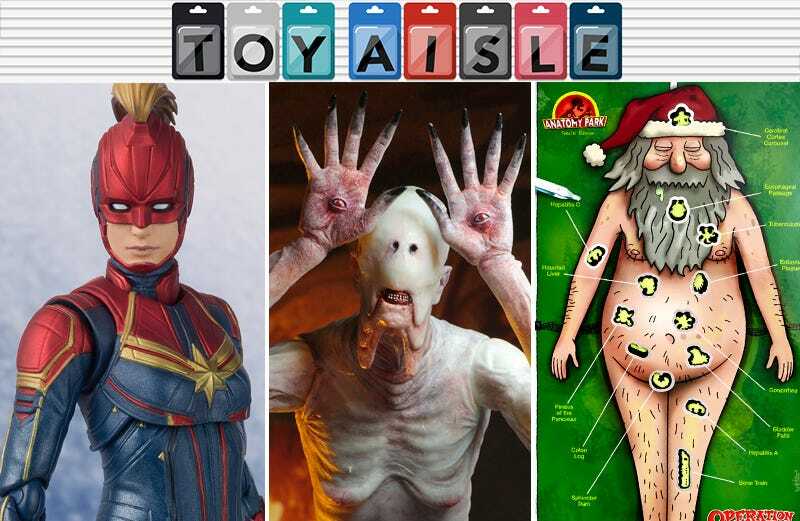 Welcome back to Toy Aisle, io9's regular roundup of the coolest collectibles and merchandise we’ve seen floating around on the internet. This week, Figuarts gets Captain Marvel fever, Lego reveals another grand addition to its modular building series...and Mr. T is strong with the force!? Check it out! 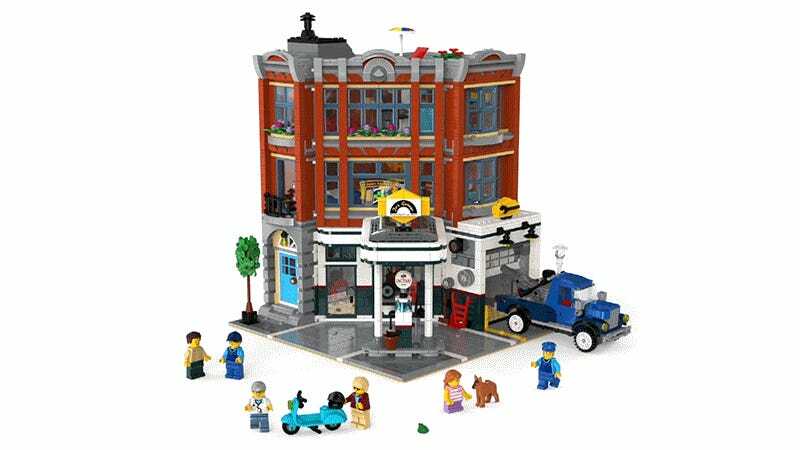 Lego continues to expand its Creator Expert modular building series with a new three-story corner garage set, giving local residents a place to get their cars tuned up, as well as an animal clinic above that and a well-furnished apartment—assuming you’re an inch-tall minifigure. The 2,569-piece Lego Creator Expert Corner Garage will be available starting January 1, 2019, for $200, and will include six minifigures, a scooter, a tow truck, and everything a busy veterinarian would need to take care of the local wildlife, including a place to crash at the end of the day, one floor up. If you like to adorn your desk with sinister figures that will keep you up all night long, wondering if they’re going to secretly come to life the second you fall asleep, NECA’s got you covered. The second release for the toymaker’s Guillermo del Toro Signature Collection is this seven-inch tall Pale Man (from Pan’s Labyrinth) figure that comes with an underworld throne accessory, and enough articulation to strike the creepiest of poses. It’s available for pre-order from the BigBadToyStore for $35, and is expected to ship sometime this month. Monopoly isn’t the only board game that’s been re-branded and re-skinned hundreds of times. In recent years the classic amateur surgery game Operation has been given the occasional facelift, but the latest incarnation sees the patient replaced with Rick and Morty’s Ruben the homeless Santa who’s revealed to have a miniature Jurassic Park-like theme park inside him. If you haven’t devoured the show yet, Operation Rick and Morty Anatomy Park Edition will make absolutely no sense, but the rest of us can have fun trying to extract “Funatomy” parts like Pirates of the Pancreas and the Haunted Liver for about $22 from stores like Hot Topic. Even as grownups we can’t help but take a quick peek at the wall of Hot Wheels die-cast cars every time we’re out shopping, but we’re always pretending we’re shopping for our kids. But Candylab Toys’ wooden vehicles straddle the line between playthings and stylish collectibles, and the company is now venturing into Hot Wheels territory with its smaller Candycars line, which you’ll be proud to have parked across your desk. After a successful Kickstarter crowdfunding campaign the toys are expected to ship this month, and will sell for about $9 each. Frustrated that your favorite characters aren’t getting the action figure treatment you feel they rightfully deserve? Maybe it’s time to check out the thriving bootleg market. Etsy is one of many places to find a goldmine of customized collectibles, including this brilliant Master T figure created by Retrogimmick, which is exactly what the recent crop of Star Wars films need to feel fresh again. Unfortunately, even at $50 for a single figure, there’s a good chance Master T might already be sold out by the time you read this, as Retrogimmick only produced a handful of copies.